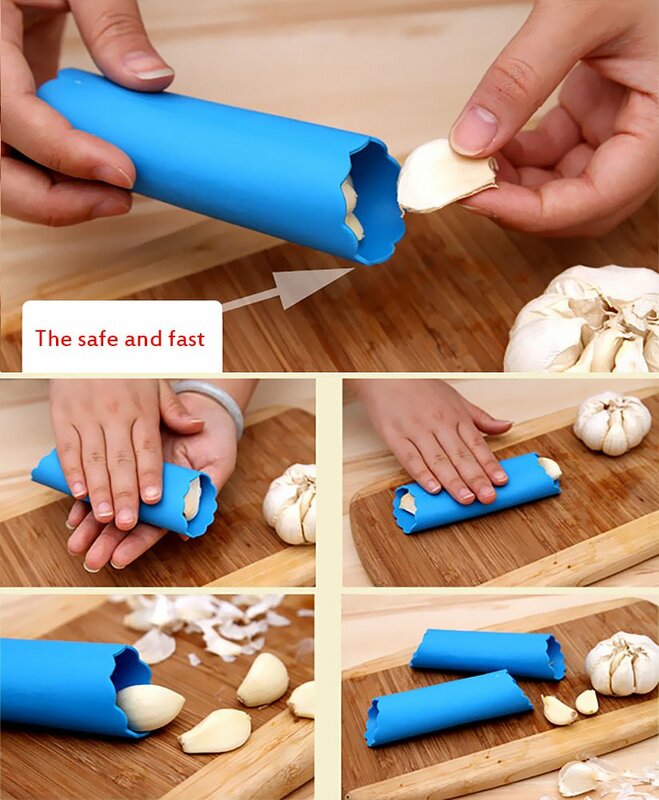 Want that whole and beautiful garlic cloves each time but hate the odor in your hands? The Garlic Spiral Peeler peels your garlic cloves in seconds making your food prep time extremely efficient while keeping your hands clean and free of garlic odor. The Garlic Spiral Peeler does all of the work for you and is ideal for all sizes. Large or small cloves. Made from non toxic and food grade Silicone, it's BPA free and safe to use. Simply place a clove of garlic into the tube. Using pressure by hand, Roll it briskly on the counter. and the garlic cloves come out easily allowing you to have freshly peeled garlic in seconds! No more messy countertops. No more odor. No hassle. Fast and Easy!